There is the home you were born to, and the home you make for yourself. And then there is London*. It is where the heart belongs. Every corner is a chance for magic to happen: a whiff of an idea, an inspiration, an opportunity. It is the hub of the world that makes you want to grab life by the horns, and not let it go. You can be yourself, you can be someone else, but you can never be “different.” There is no other place on earth that has changed the course of history as London. From punk to dubstep, the Beatles to the Spice Girls, Mary Quant to Mary Poppins, Queen to McQueen… this is where it all happened. And this summer, this is where ALL is happening. This issue is an ode to the city that we can call home. London - we love you, baby! For the past ten years, Ayami Nishimura has shaped the pages of the world’s most famous fashion magazines and the looks of the prettiest models with her paint brushes. Meanwhile, Rankin was one of the most prolific photographers of his generation, shooting the likes of Madonna, Adele, Marc Jacobs and LindsAy Lohan. But deep down, both of them confess to beING mostly “fascinated by faces.” After having collaborated on different projects including Dazed and Confused covers, Rankin and Ayami decided to fuse their talents once more, but this time into a book. The story of this unique moment of artistic symbiosis is available worldwide alongside exhibitions at THE Annroy Gallery in London, The Rankin Gallery in LA, and Diesel Gallery in Japan. 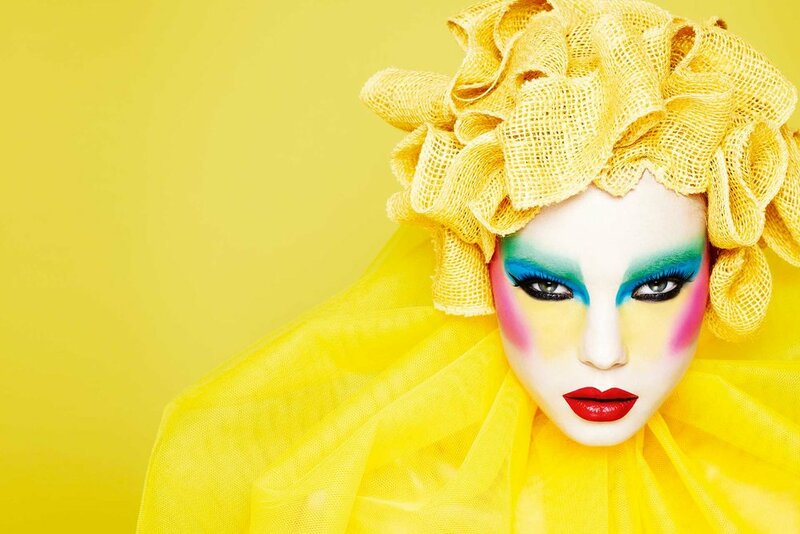 Pushing the limits of makeup art and photography, the book presents a series of close up beauty shots using as little special effects as possible. Ayami Nishimura completely redesigned her models' faces as if they were a sculpture or a landscape. For inspiration, she plunged into her childhood memories of Japan, the sceneries and special sense of femininity. Plastik met with the artists to find out more.